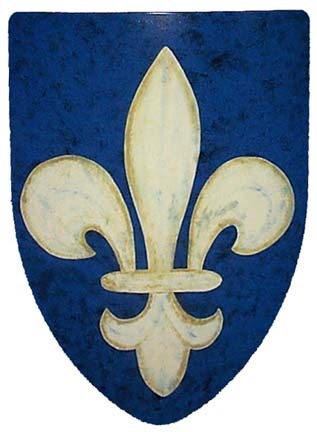 Last week was “la fête nationale du Québec” – St-Jean-Baptise Day (Quebec’s national holiday), celebrated on June 24th. It’s the day when all Quebec-ers, especially those of French Canadian origin, let their hair down and party!! My husband is French Canadian so we celebrated at our home with about 25 of our closest family and friends and it was great fun and very tasty! Well…I certainly wasn’t going into this half-heartedly. 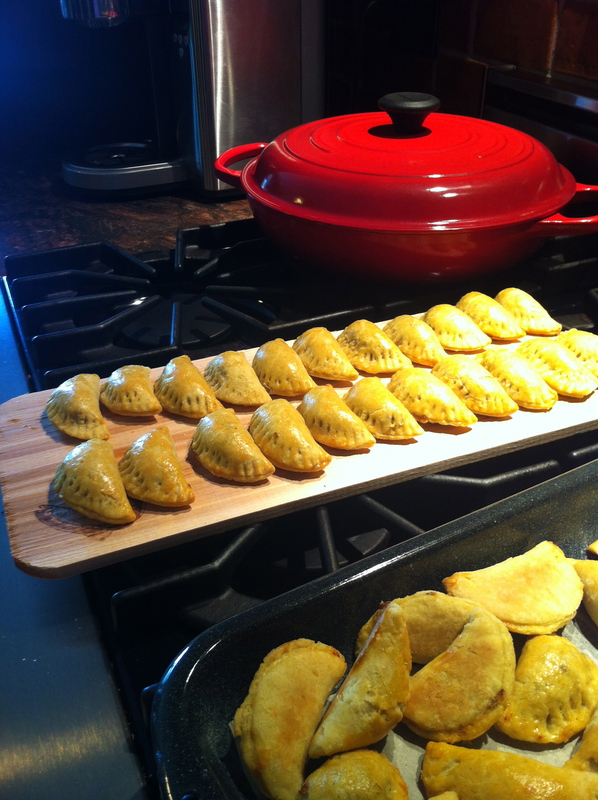 I wanted to make something different and memorable so among my appetizers, I served home-made, cocktail-sized Jamaican patties. They were so good and so darn cute! These patties are just mini meat pies after all. Pie dough & minced meat but with a dash of curry powder. The addition of curry is really what makes it Jamaican. Oh yeah, and its not shaped like pie or cooked in a pie dish. WHATEVER! It’s a summer event so I thought it a perfect little canapé, adding a little tropical flair. FYI – They are not heavy with curry flavor. On the contrary, you can hardly notice it. Its just right for those unfortunate non-curry people. 😉 Kinda’ reminds me of lipton soup mix actually. I discovered the recipe in my latest BBQ-ing bible. It is the “Rob Rainford’s Born to Grill” cookbook which I picked up at Costco. There are so many great grilling tips, delicious sides and appetizers. The patty dough is easier to make than regular pie dough so don’t worry if you’re not an expert. Also, in the original recipe the patties are meant to be grilled but for convenience, I baked mine. You can also freeze them cooked and reheat from frozen at 450 degrees until warmed through. This is what I did and they turned out perfectly. Makes about 20 cocktail-sized patties. Preheat oven to 400 to 425F. Prep baking sheets by covering them with parchment paper Obviously, I do this so that they don’t stick but I also avoid using any sort of oils or fat. Blend the flour with the curry powder and salt until well combined. Add the butter , shortening and water. Shape dough into a ball and then a thick disk, working quickly. Wrap with plastic wrap and place in the fridge for 1 to 2 hours or until firm. Add the onion and cook for about 5 minutes until tender but NOT browned. Add the ground meat curry powder, thyme, salt and pepper. Cook for 5 minutes until meat is browned. Stir in the broth and breadcrumbs and cook until mixture resembles a thick paste. Let cool. Roll the dough out to a 3mm or 1/8th of an inch thickness and cut into 3 inch (8cm) rounds. Brush beaten egg yolk over half of the exposed dough. Fold the dough over to enclose the filling and pinch edges to seal. I used the end of a fork to create a little design but don’t press very hard. Brush the tops of the now closed patties with more egg wash.
Bake until golden and dough is cooked through. About 15 to 18 mins. Always test before serving. You will always have rejects you can eat…You know, where you overstuffed a few and the filling has escaped its enclosure…or just plain didn’t turn out so pretty. These are a lot of fun! Serve with your favorite Sangria. These were really delicious! Thanks for sharing.